Geek culture and gaming-inspired clothing company Jinx adds another game to its lineup as Call of Duty: Black Ops joins World of Warcraft and StarCraft II as part of the company's holiday 2010 line. I got a peek at most of Jinx's holiday line at BlizzCon 2010, so I'm already familiar with the Horde and Alliance hoodies and polo shirts, the Murloc costume hoodie, and the extremely attractive but doomed never to fit me StarCraft II Terran jacket. 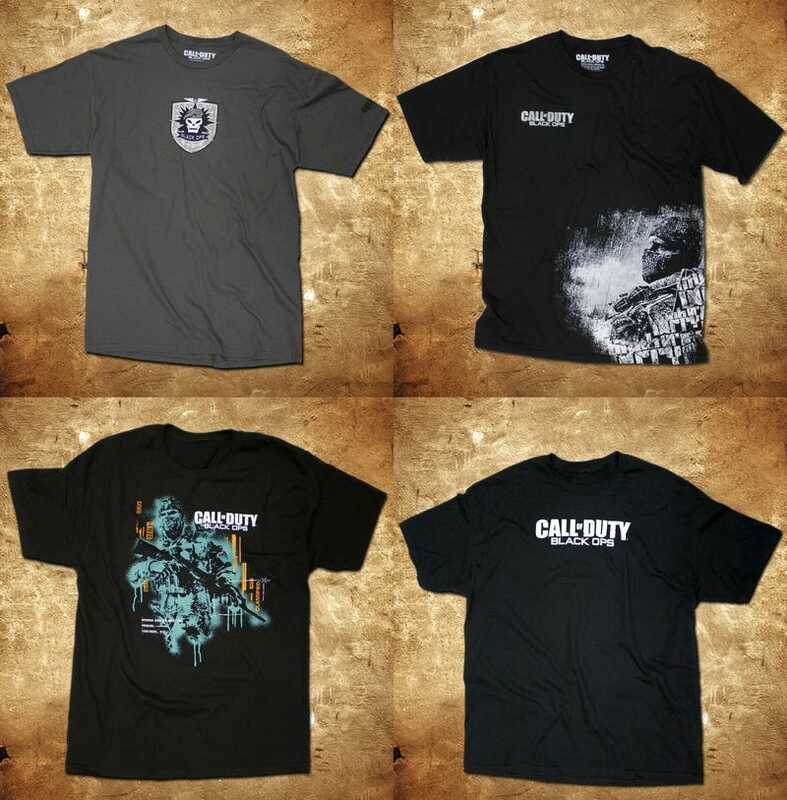 What I wasn't expecting was a series of official t-shirts based on Call of Duty: Black Ops. Apparently they've extended their relationship with Activision Blizzard a little closer to the Activision side of things, resulting in this quartet of attractive designs, perfect for letting other people know that you, given the choice, would enjoy shooting them in the head in a virtual fashion. Jinx's full holiday 2010 lineup is now available at the company's official website. I don't think the company has an unofficial website.